A short hike of just under 2 miles from Moraine Park leads the adventurer to this rocky area along the Big Thompson River. The Big Thompson funnels through a small but impressive rocky channel at this location which has aptly been name The Pool. 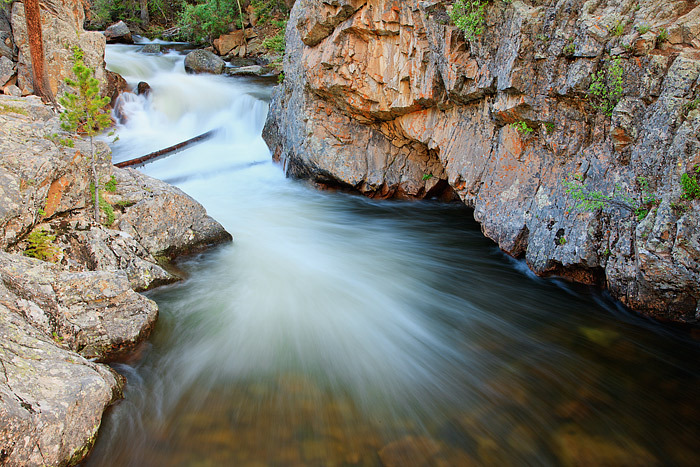 During the spring runoff, The Pool is anything but placid as water rushes through the gorge and rocks. . Photo © copyright by Thomas Mangan.